Summer comes early this year! Seven days of daily yoga practice and gliding through turquoise waters, breathing in the smell of the sea and pine trees, will have you completely rejuvenated. 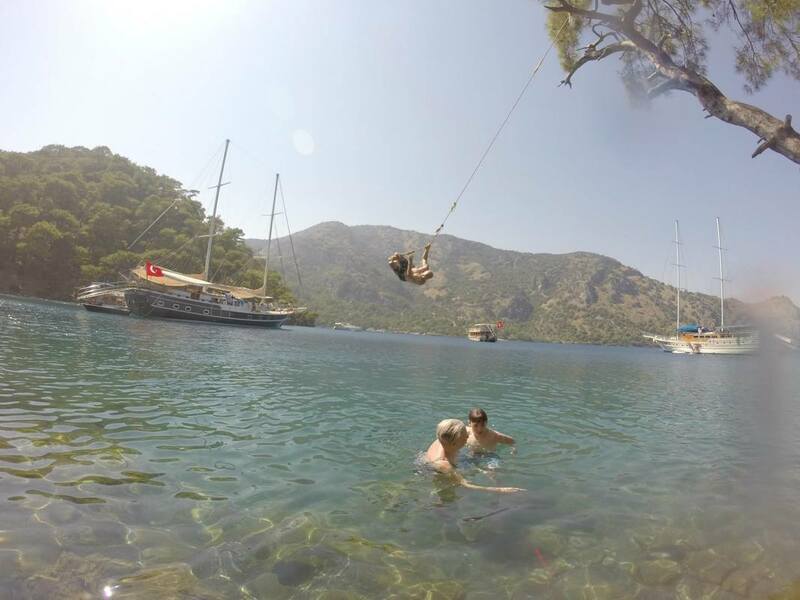 Every day we will swim in a different bay and explore a different island. 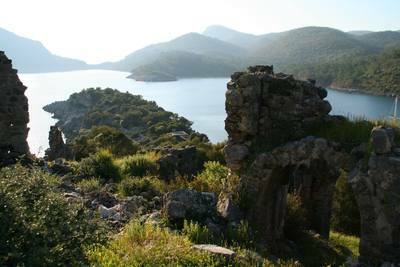 The islands are mostly uninhabited, but rich in history and archaeological remains reaching 2500 years back - temples, tombs, cisterns, abandoned ship yards. 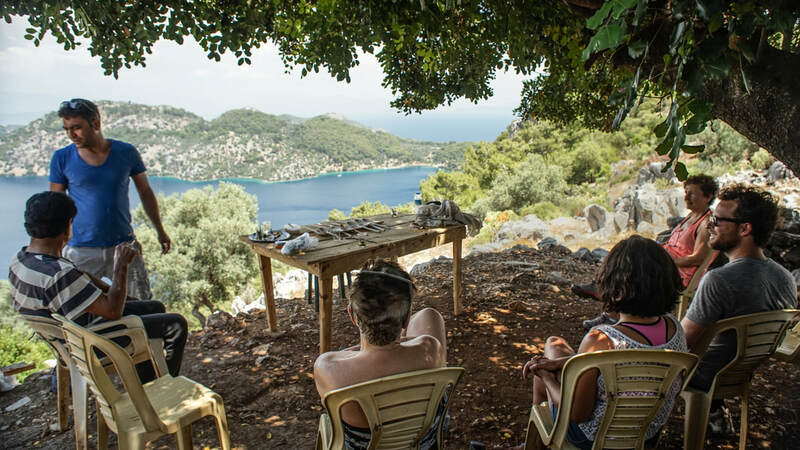 You'll have a chance to share a cup of tea with some of the very few locals still living on the islands and explore the remains of past civilizations scattered around the islands with an on-board archaeologist. 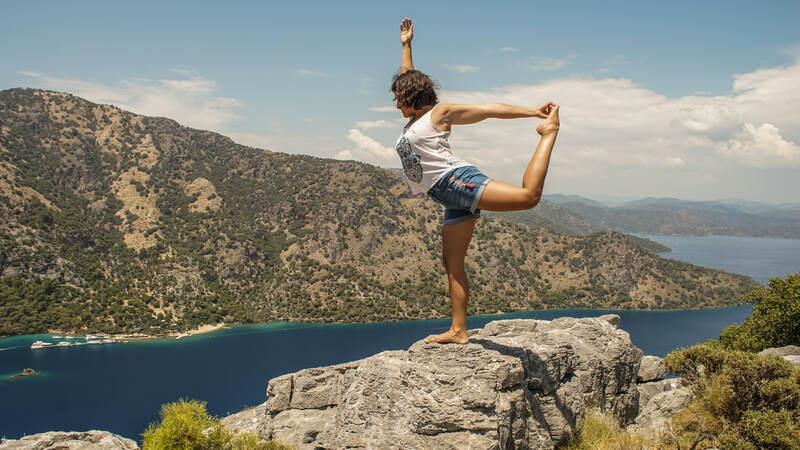 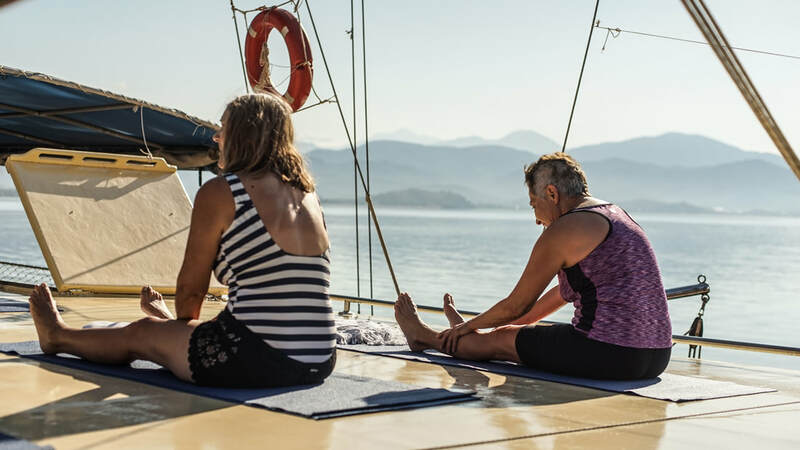 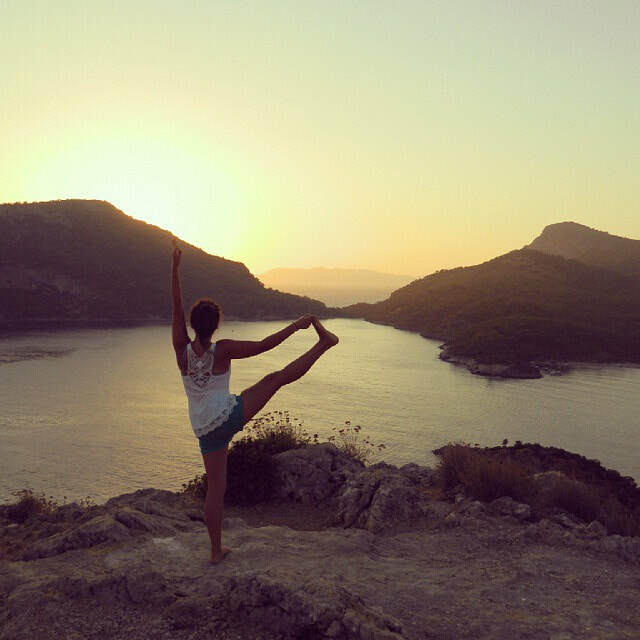 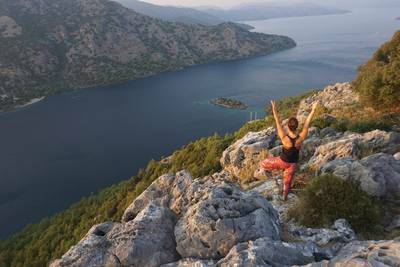 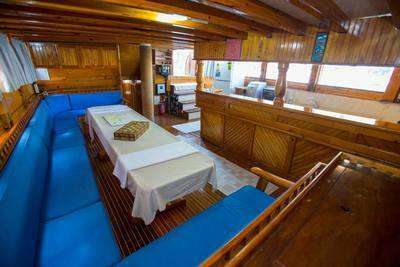 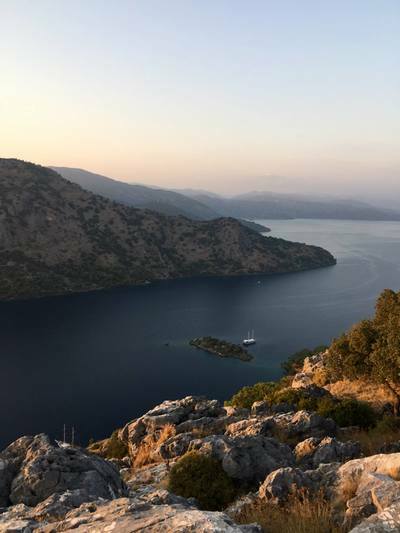 The retreat is a perfect combination of relaxed time on the boat, enjoying the sun and the sea, and hiking through the islands, exploring the landscapes, history, and culture of this ancient land, while at the same time developing your yoga and meditation practice. 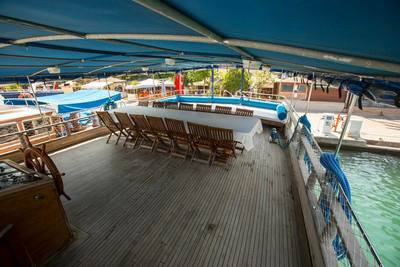 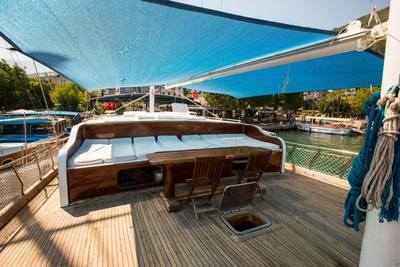 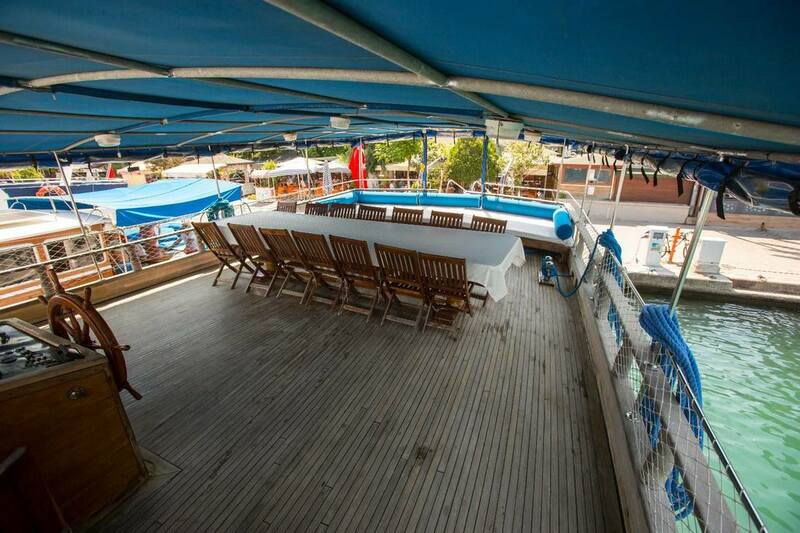 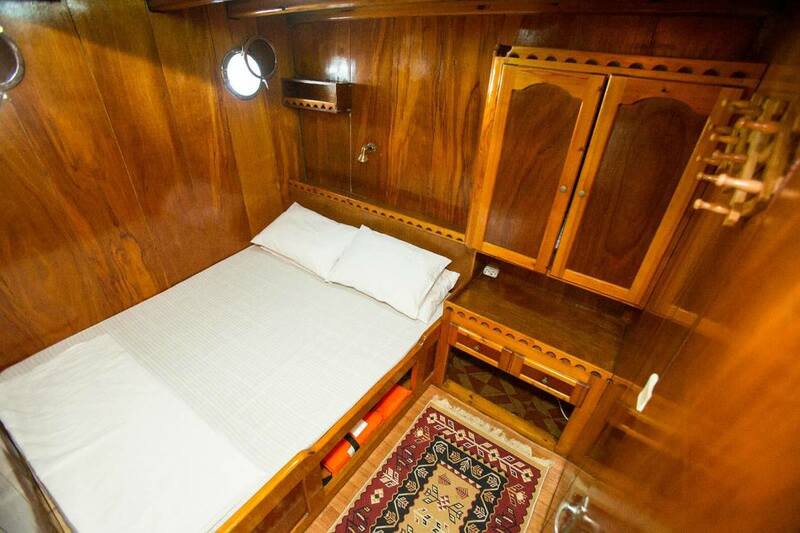 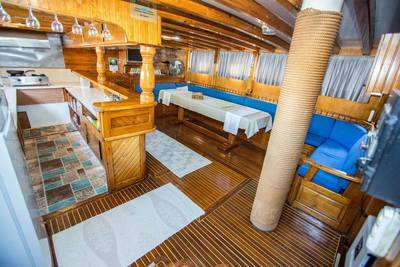 Our floating home during this week will be ''Seaborn Legend'', a 27m long wooden gullet, with 8 cabins, 2 sunny decks, an indoor and outdoor dining area and the friendliest crew in the Aegean. 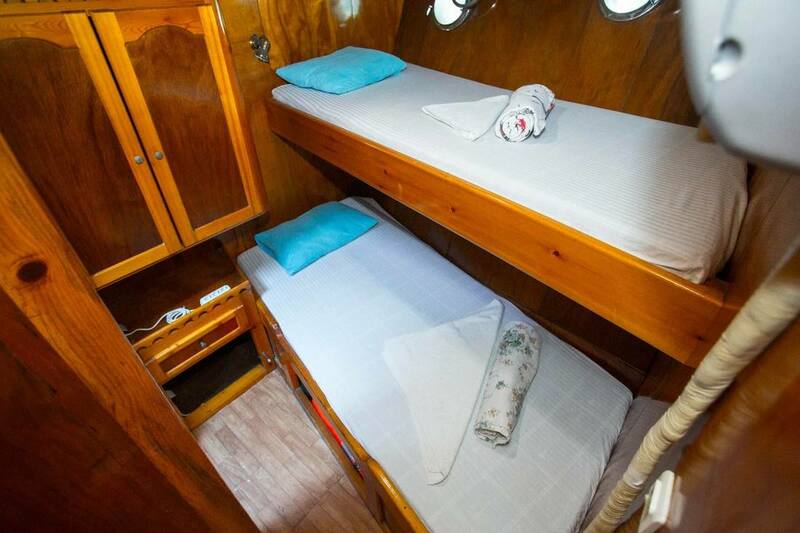 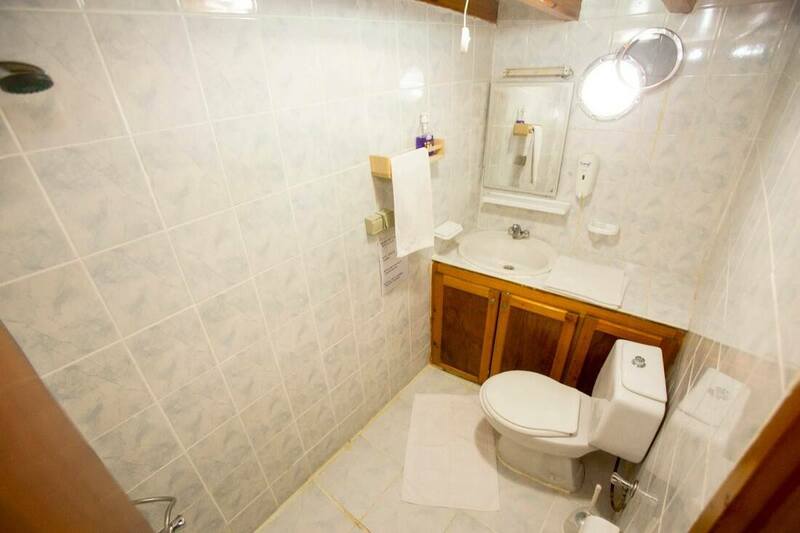 Each cabin has an en-suite bathroom and an AC. We have cabins both with double beds and twin beds. 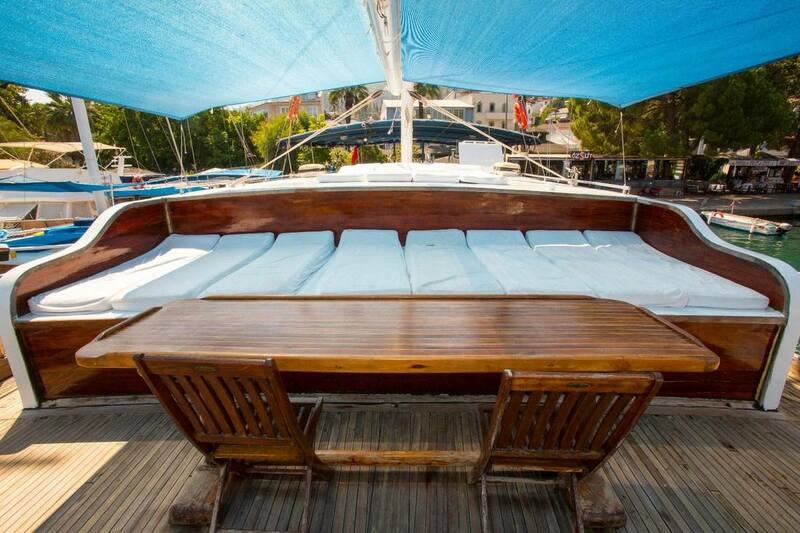 There is plenty of lounging space on the decks with enough sunbeds for everybody. 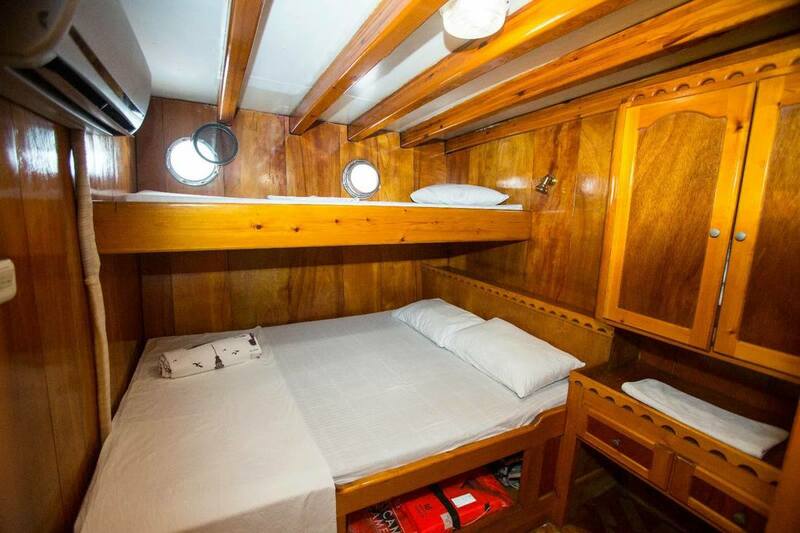 The boat also comes equipped with a canoe, SUP board, and some snorkeling gear. 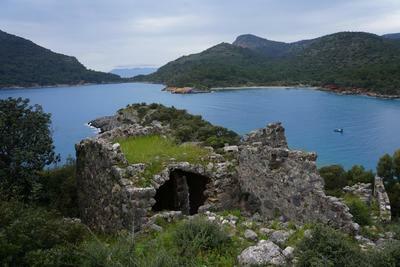 St. Nicholas Island with its scattered Byzantine ruins. 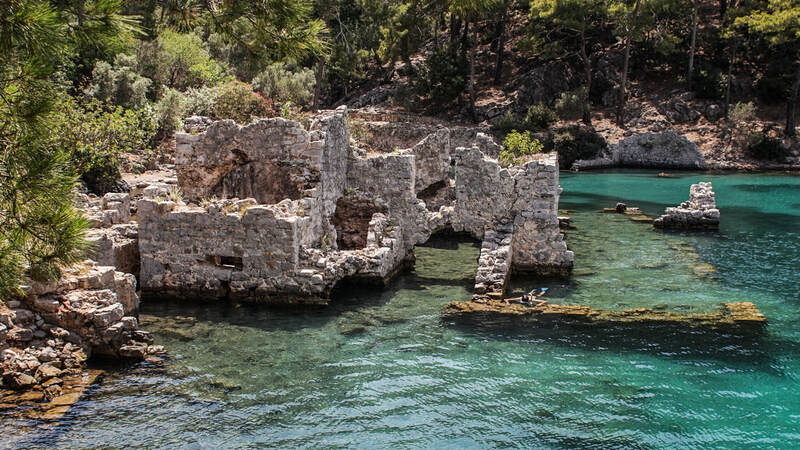 Partially sunken remains of a Roman Bath, popularly known as Cleopatra’s Bath. 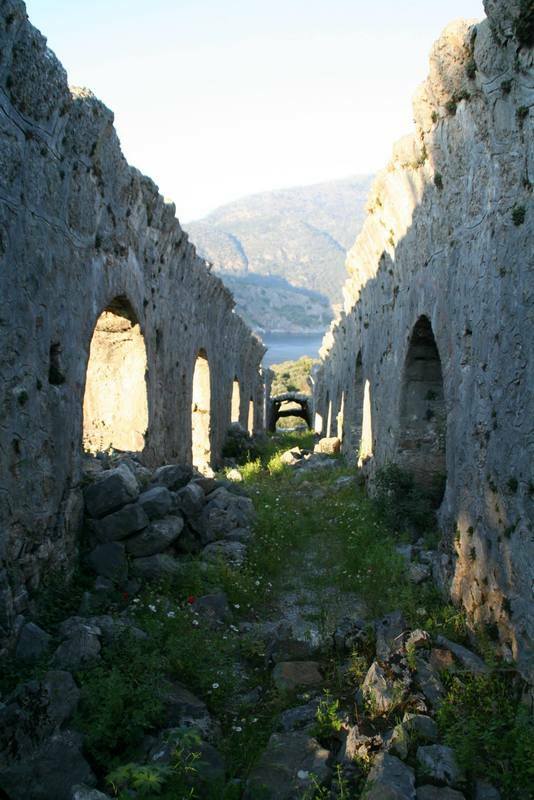 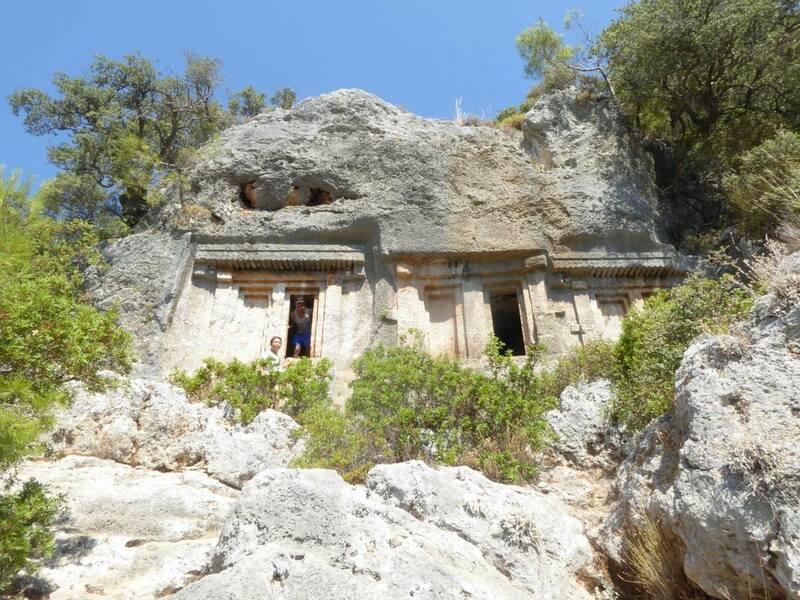 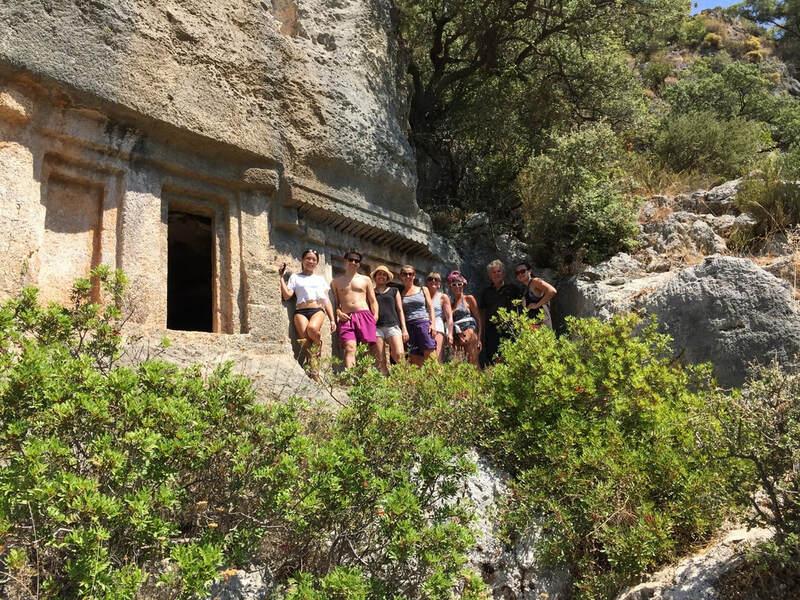 We'll encounter many examples of ancient rock-cut Lycian tombs - which have been a landmark of this coast for the past 2500 years. 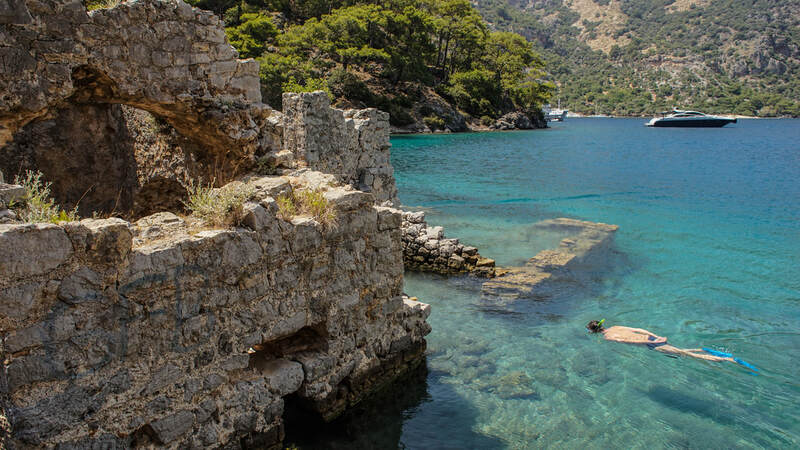 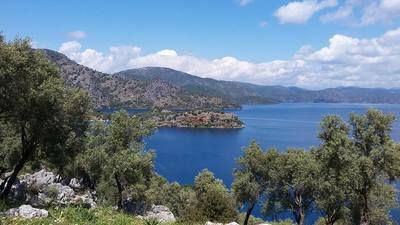 Ağa Limani Peninsula, with its incredibly clear waters and wealth of archaeological ruins from Lycians, Romans, and Ottomans. We’ll visit one of the very few families of shepards still living here. 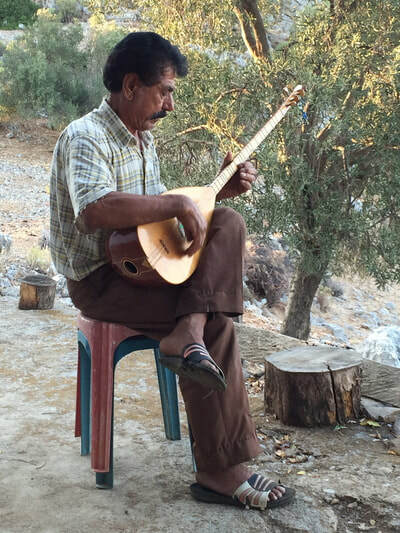 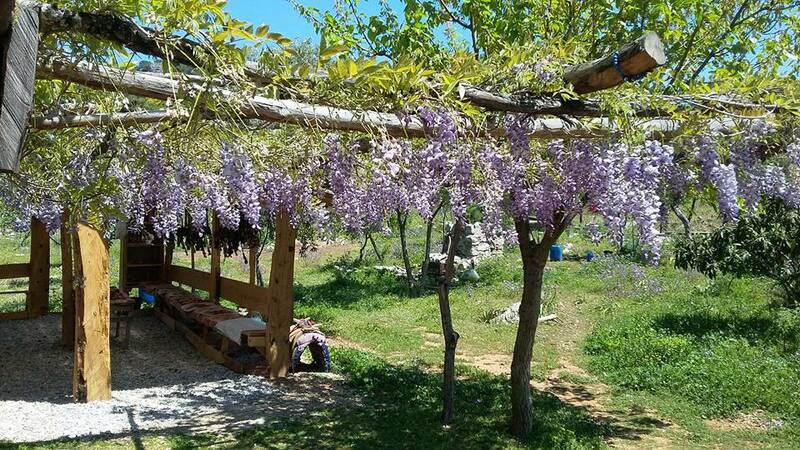 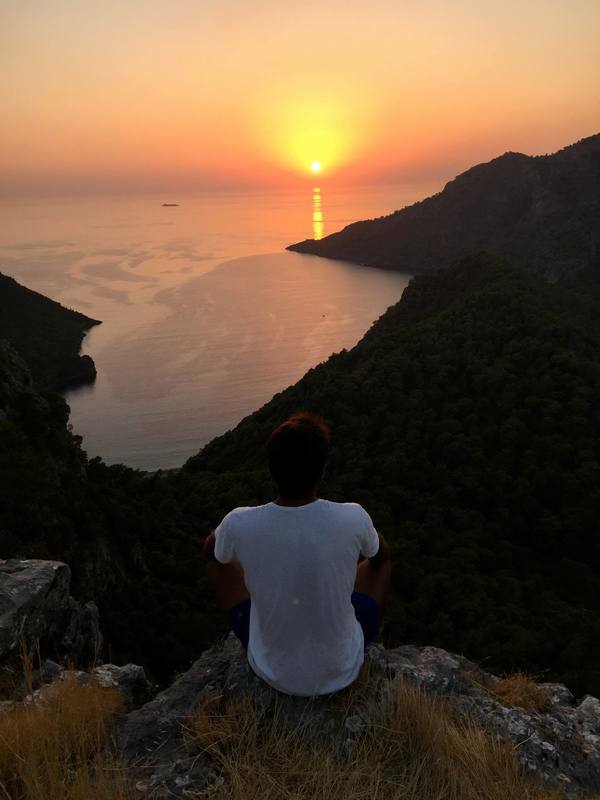 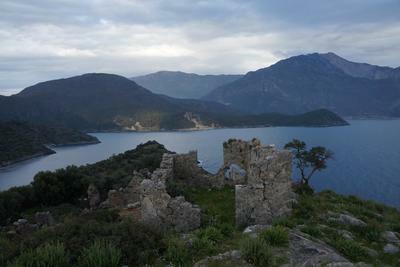 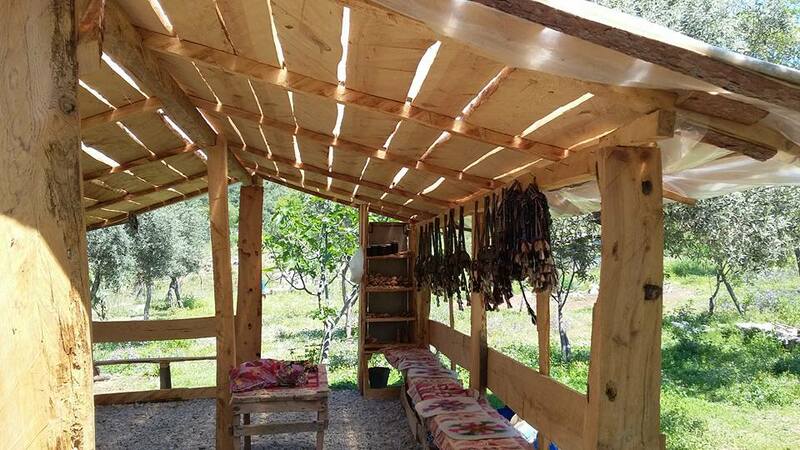 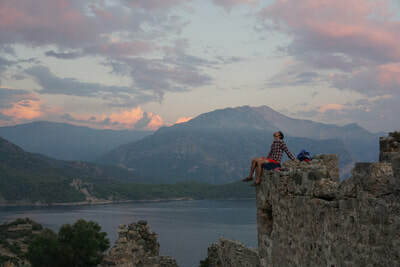 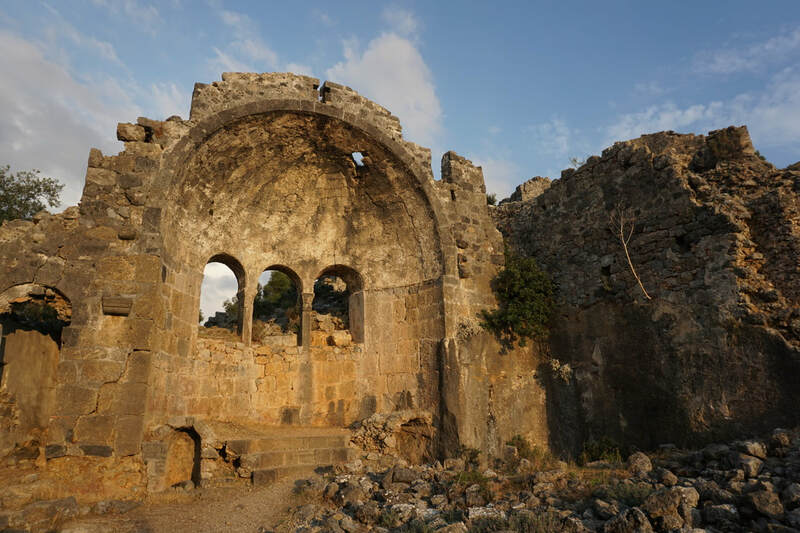 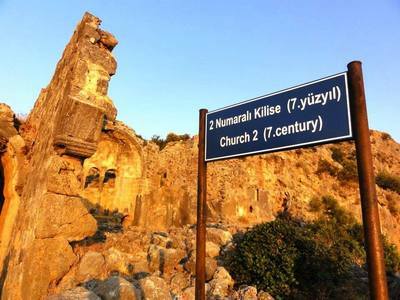 We will have a chance to visit the only inhabitant of Kapıdağı Peninsula, share a cup of tea with him, enjoy the stunning view from his porch and explore the ancient ruins in his backyard. 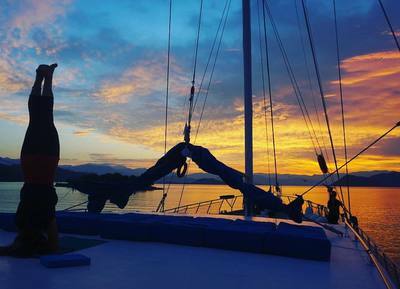 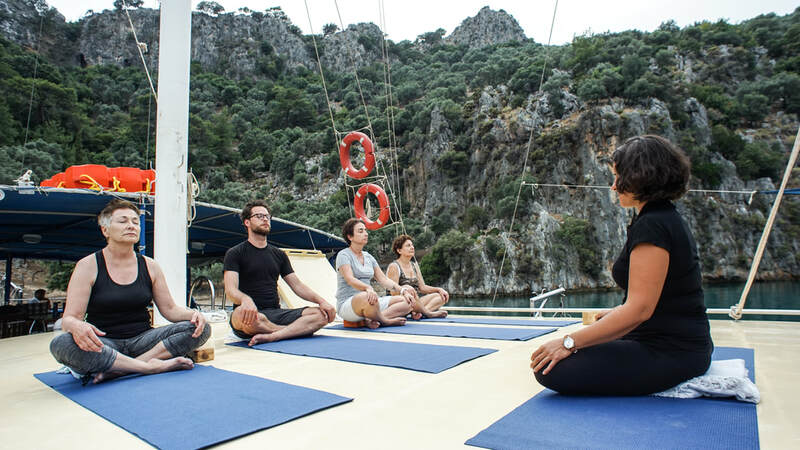 We start and finish our days with a 90 minutes long yoga and meditation practice on the sunny deck of our boat. 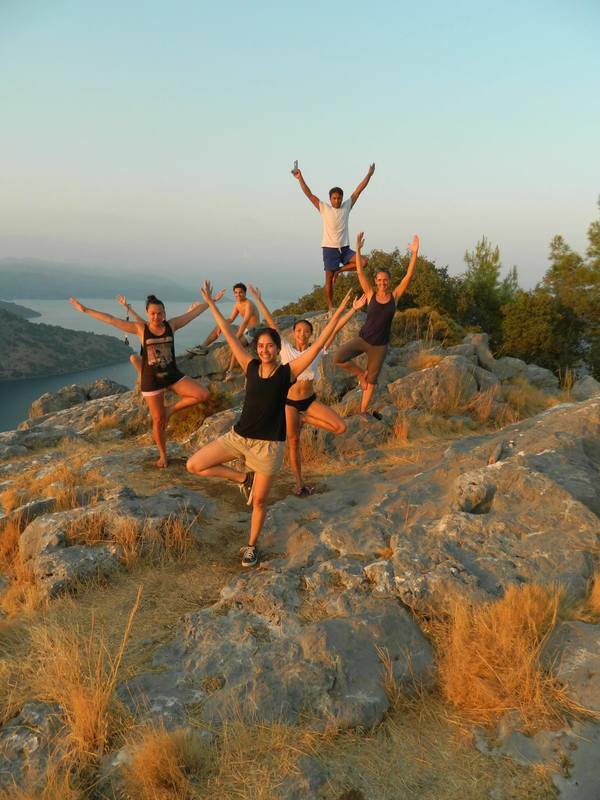 If you would like to read more about the style of yoga practiced at the retreat, click here. 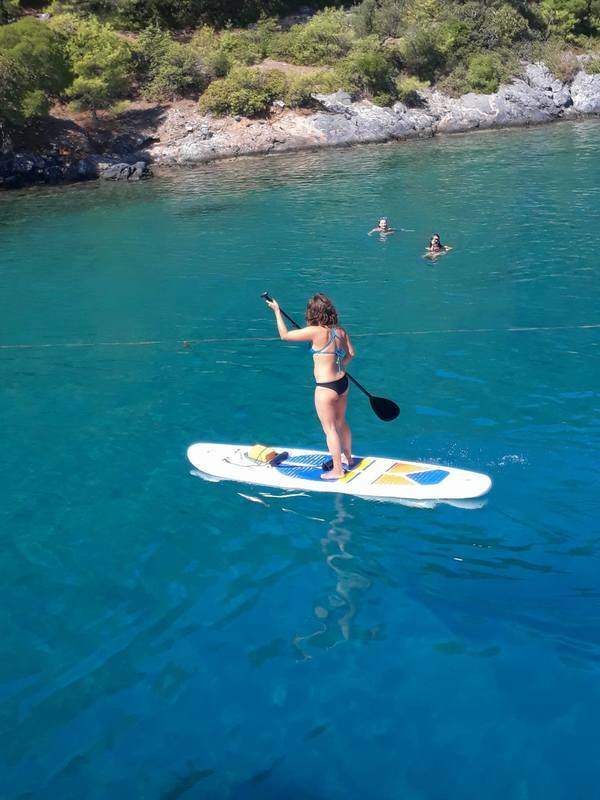 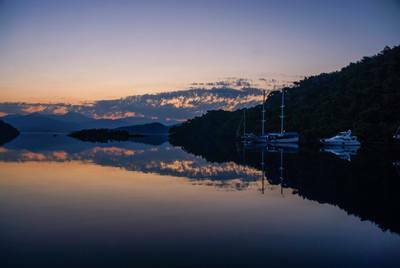 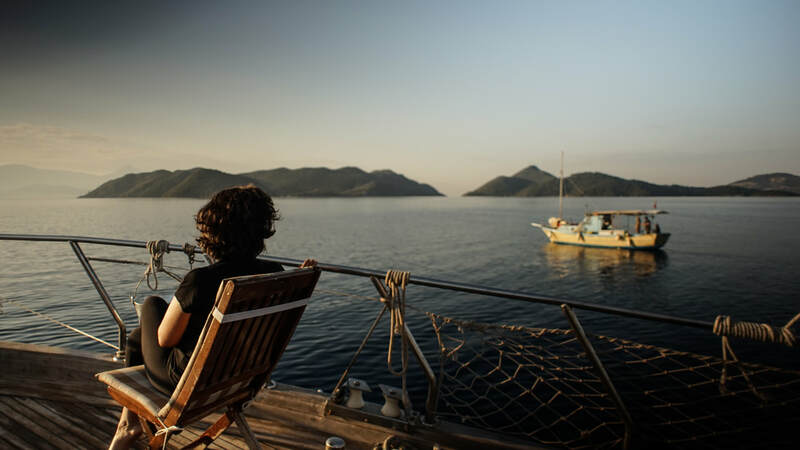 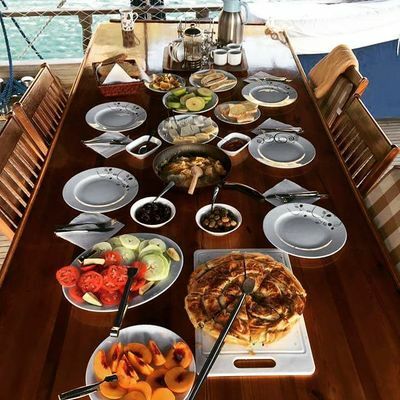 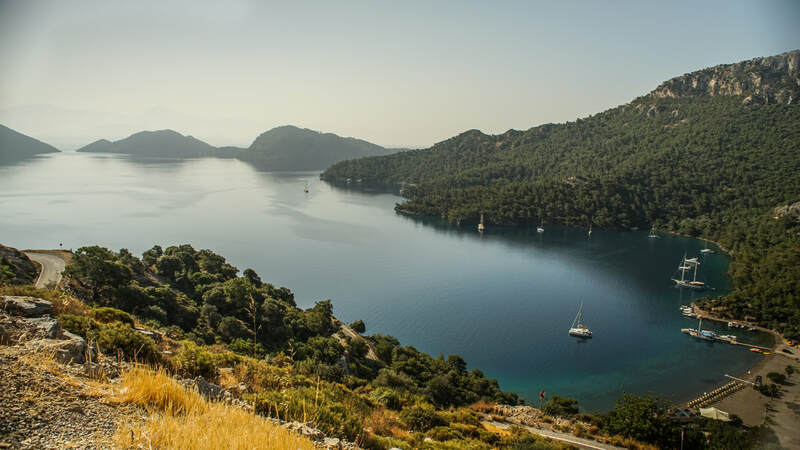 After the morning yoga and a delicious traditional freshly prepared Turkish breakfast, we set sail for the next secluded bay, where we can swim, snorkel, paddle a canoe boat, a SUP board or just savor the sun and the view until lunch time. 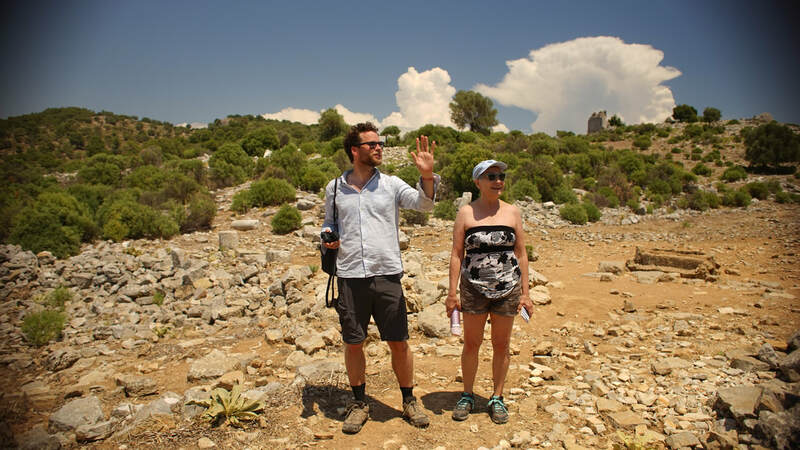 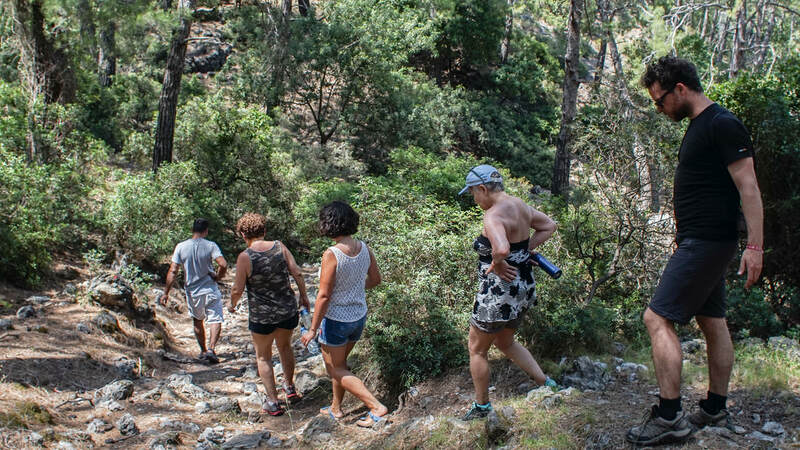 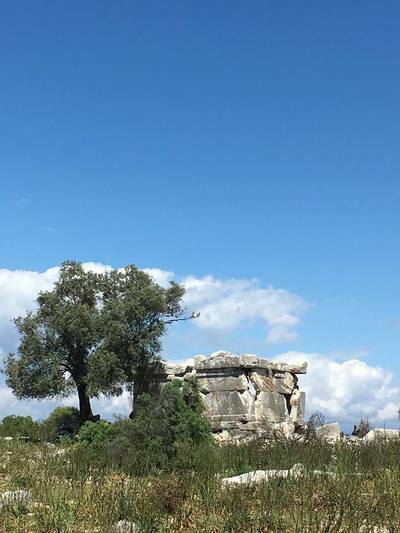 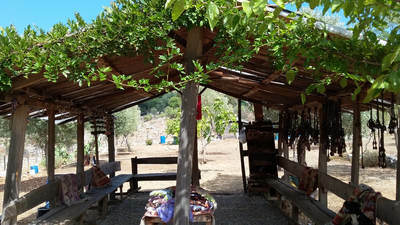 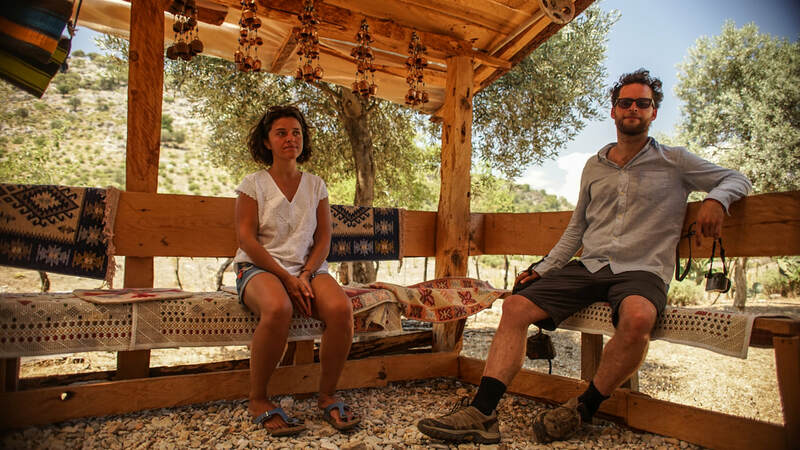 After lunch, we move to a new place, where we will go for a two – three hour long hike, exploring archaeological ruins, visiting a local family, or taking in unspoiled nature. 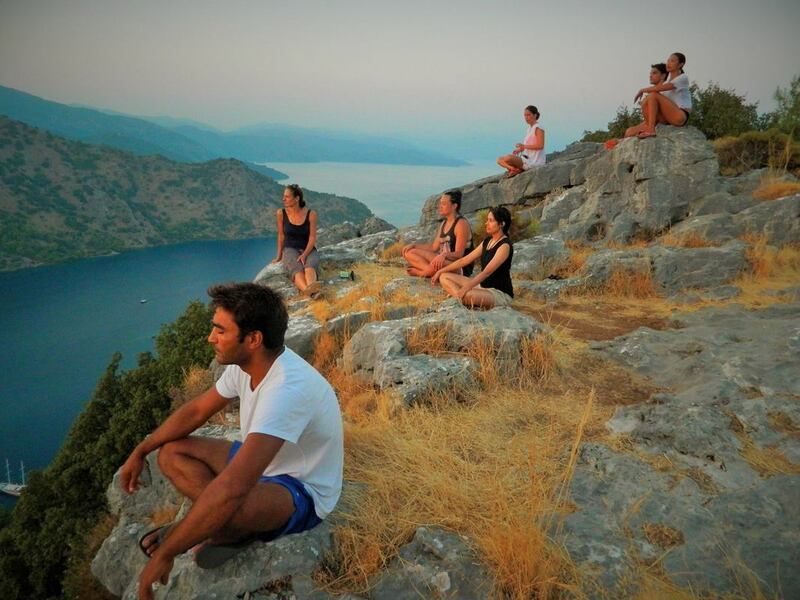 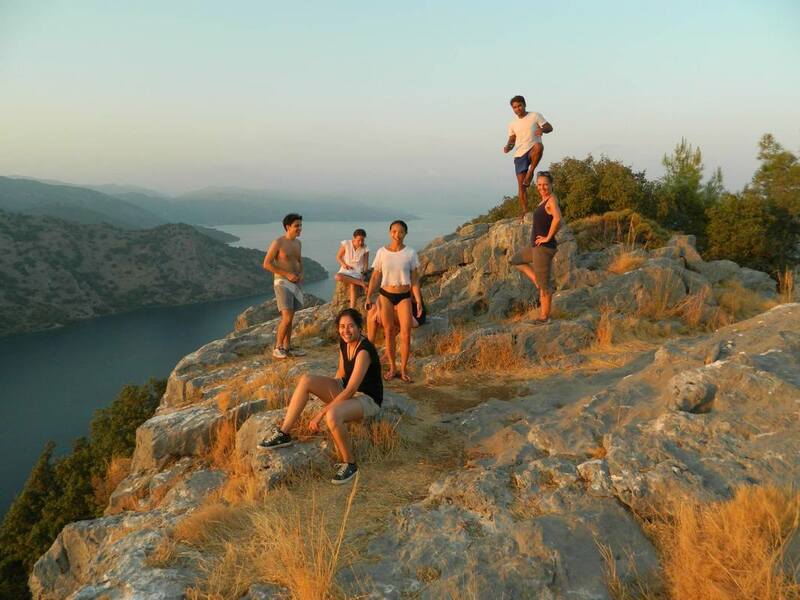 The hikes will usually lead to the top of an island, providing us with a great spot to admire the colors of the sunsets and the surrounding landscape. 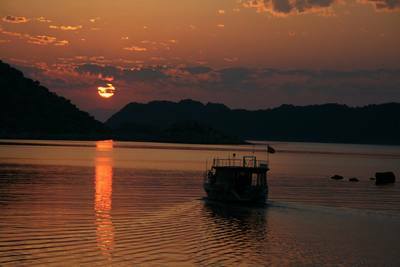 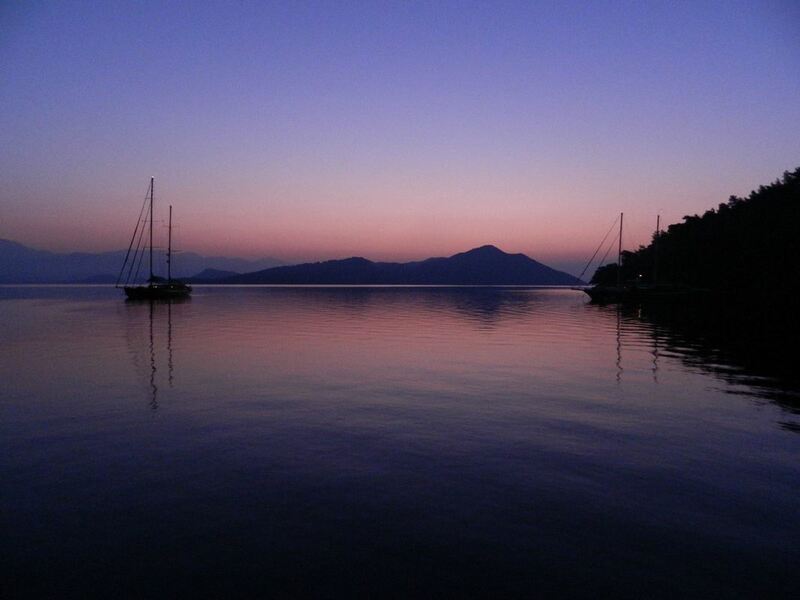 ​In the evenings, we enjoy yet another freshly prepared meal on our boat under the stars. All classes and hikes are optional and you can always decide to skip any of the activities and go with your own flow. 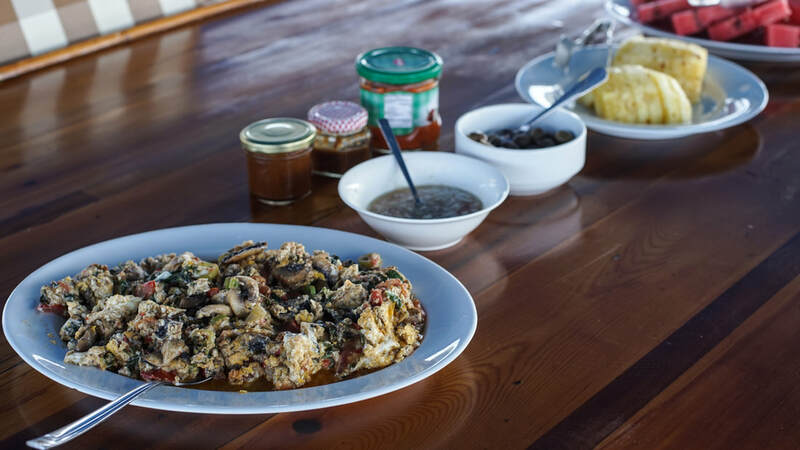 We'll have three freshly prepared vegetarian meals per day. 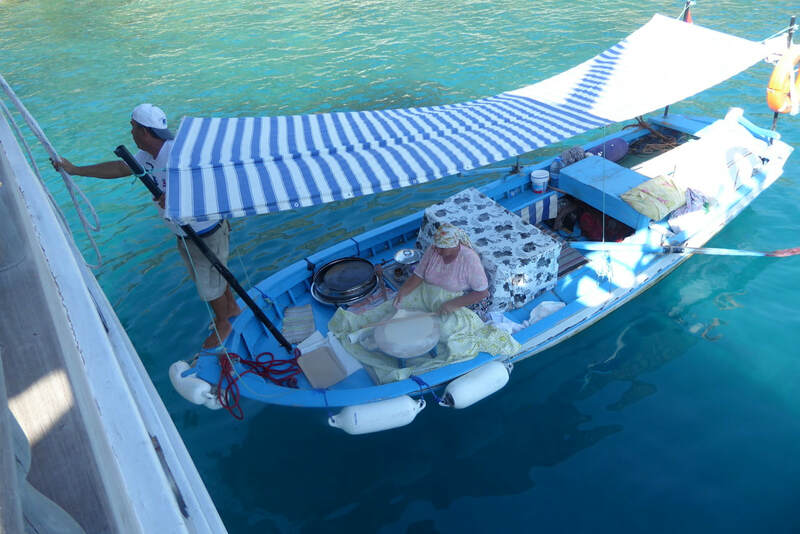 All the food is prepared on the spot by our crew, and made mostly of fresh local ingredients. 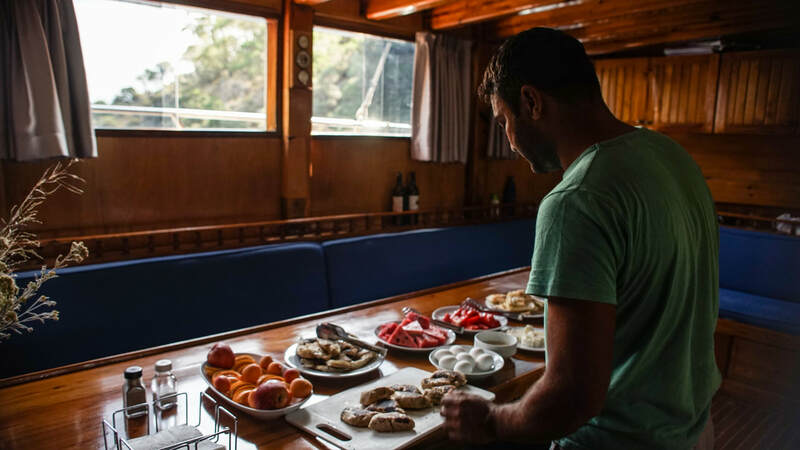 We'll be served traditional Turkish and Mediterranean dishes, nutritionally balanced so as to support our practice and other activities on board. 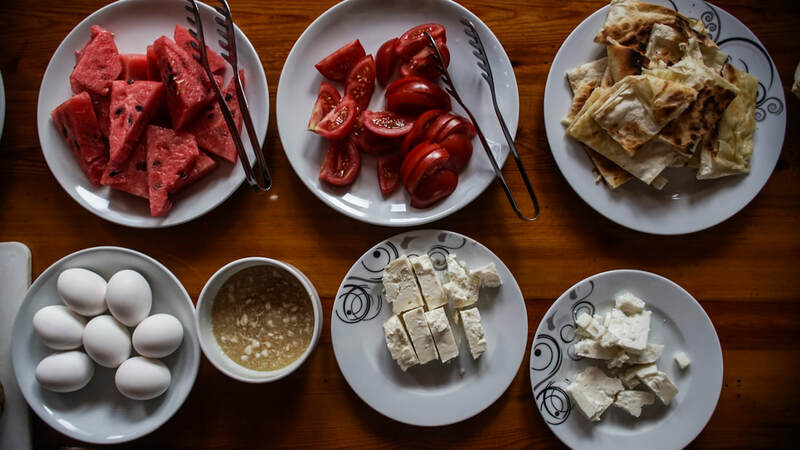 All the food, as well as unlimited coffee and tea, and drinking water is included in the price of the retreat. 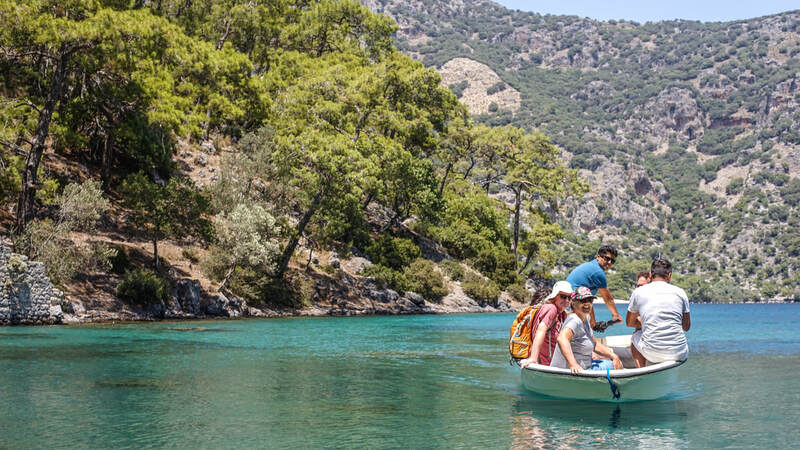 ​The closest airport is in Dalaman. 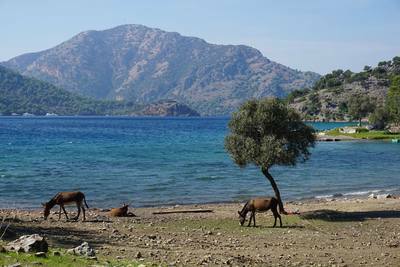 You will find several daily flights between Istanbul and Dalaman, operated by Turkish Airlines, Pegasus Airlines, and Anadolu Jet. 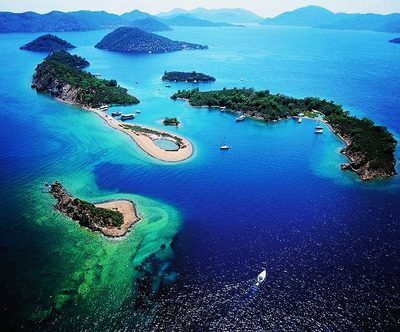 International flights to Dalaman arrive from: London, Bristol, Glasgow, Manchester, Amsterdam, Kiev, Moscow, Ufa, St. Petersburg, Rostov, and Tel Aviv. 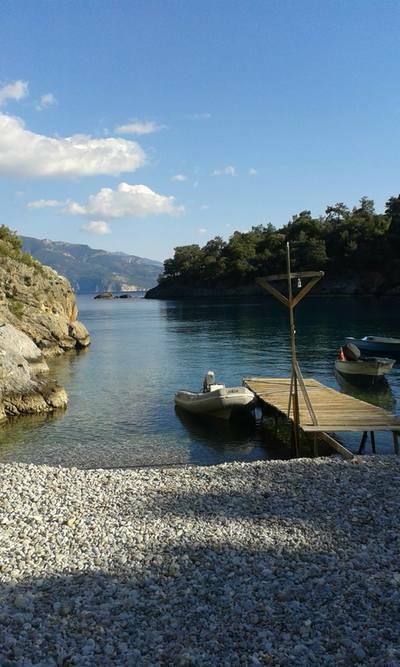 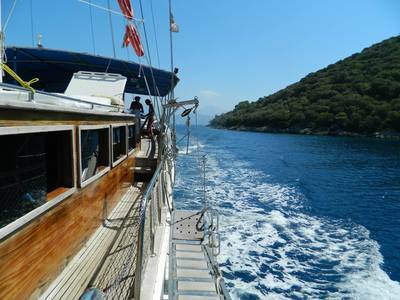 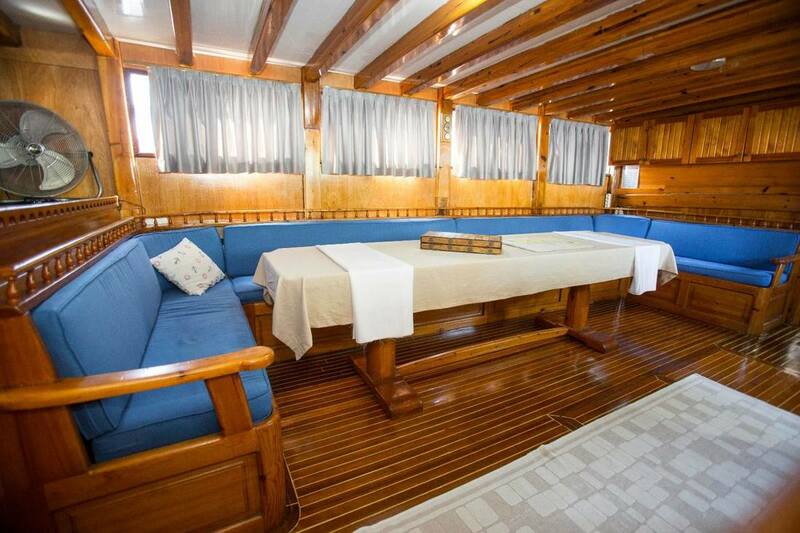 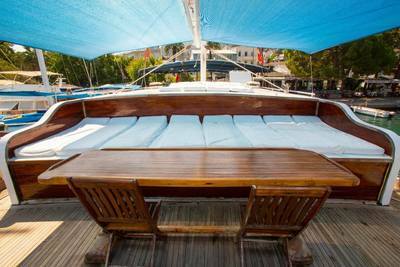 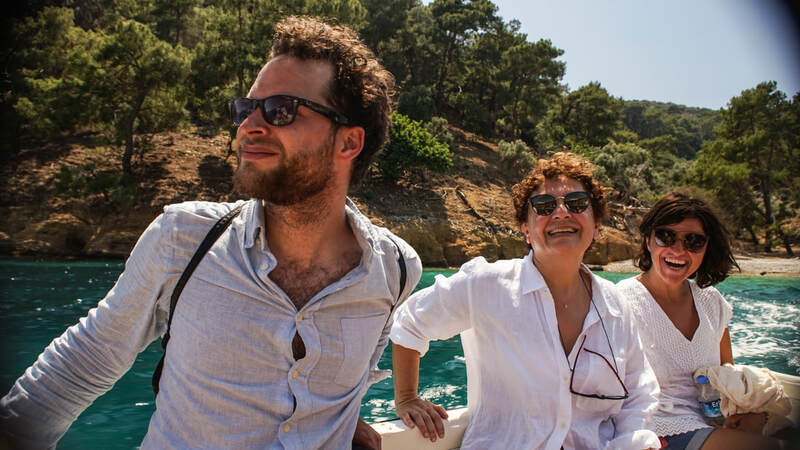 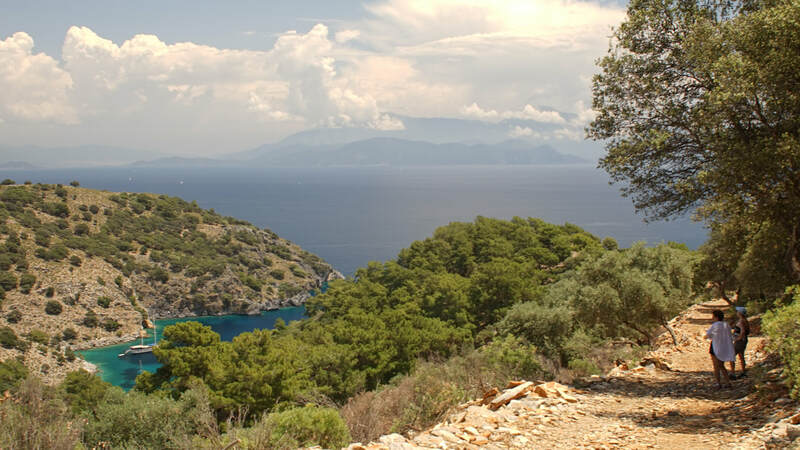 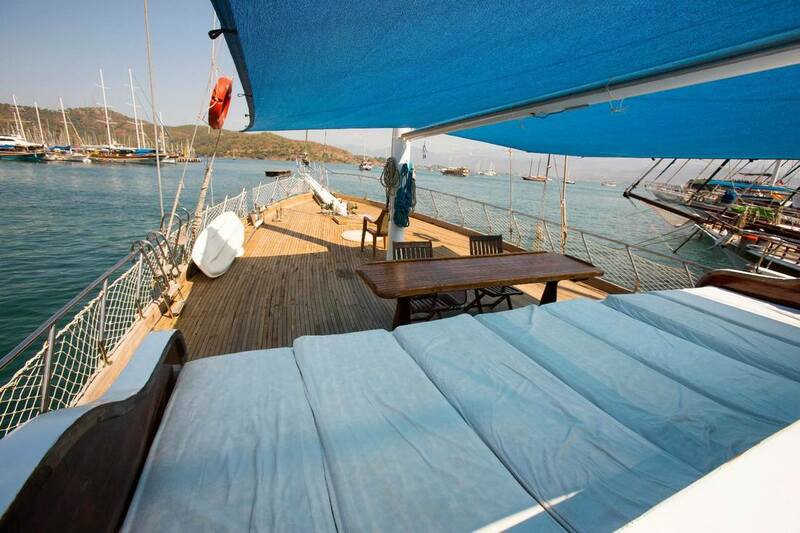 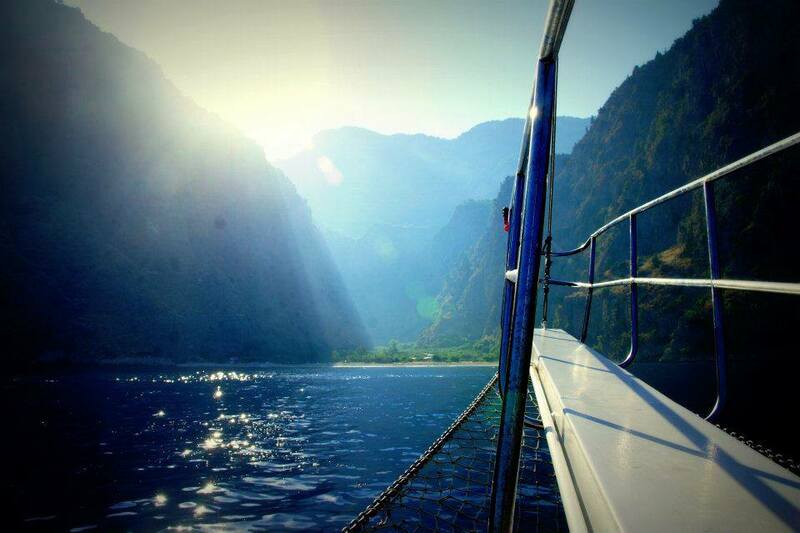 The transfer from Dalaman airport to the boat is included in the price of the retreat.